BW photo. Grey Street, looking south. 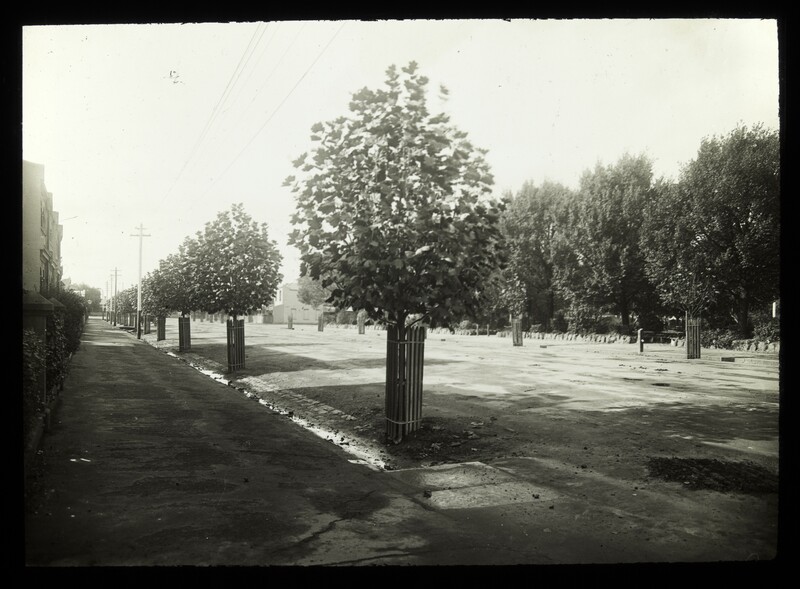 Shows plane trees in street. C. 1910. Description: transparency : glass lantern slide ; 8.5 x 8.5 cm. Notes: Label on slide: No.36. Related works: Series: Town planning lecture material of scenes in Chicago, England and Melbourne.